Now that we’ve flipped the calendar to the month of April, the focus of the golfing world turns to the most highly anticipated tournament of the year, The Masters. 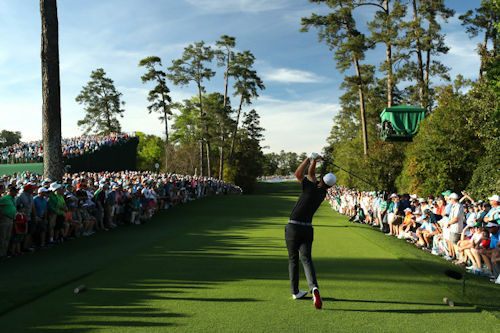 The Masters, famed for its colorful, blooming Azaleas, lush green grass and tall, whispering pine trees, provides proof to golfers in snow-bound parts of the country that spring has officially arrived! The Masters, unlike the other three majors, is held exclusively at Augusta National in Georgia, and it is the youngest of all the majors. It debuted as an official tournament in the early 1930’s and brings a cult following even larger than Tiger Woods does at each of his Tour stops each year. 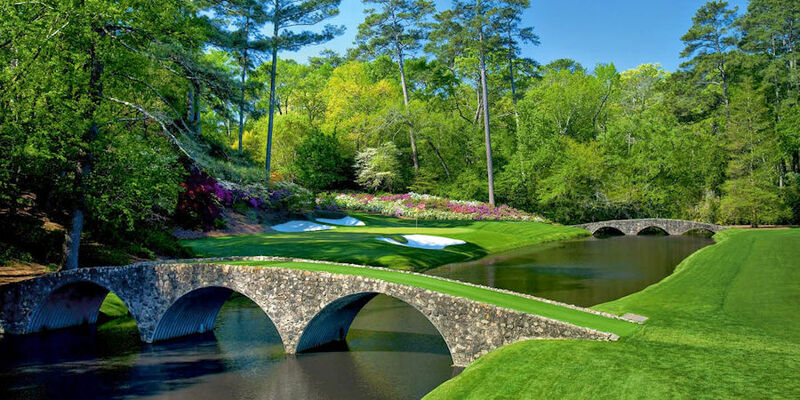 According to long-time CBS Sports host Jim Nantz, who has been working The Masters since 1986, the return to Augusta each year is “a tradition unlike any other.” The Masters faithful embrace the syrupy phrases from Nantz, and they devour pimento cheese sandwiches and logoed merchandise with few complaints about prices (although we have to admit the pimento cheese sandwiches are definitely a bargain!). Augusta’s first appearance in the competitive golf world occurred in the spring of 1934. Robert T. “Bobby” Jones was making his return to tournament play and decided to use his newly-founded club, Augusta National, as a venue for this annual championship. His courtly, Southern manner, his well-earned legend as an amateur golfer both here and in Europe, and The Masters tournament itself are among the greatest gifts he left to all of us who love this great game. Building Augusta National with the intent of making his dream course come to life, and in less than two years to boot, enabled Bobby Jones to see and experience what he envisioned years before. The iconic Green Jacket came about after Mr. Jones thought this would be a unique way for the patrons and the players to distinguish Augusta National’s members from other golf officials since they would be in a better position to provide reliable and important information to all tournament guests. Over a decade later, club officials decided that each winner of The Masters would become an Honorary Member of Augusta National, and so the tradition began for the tournament winner to receive the coveted Green Jacket worn by all members of the club. The “first major” description of The Masters (although The Players Championship now in March may some day vie for that title), and the much-anticipated exclusive invitation sent by mail (not by email!) to participate in The Masters, adds to its allure. The excitement all golf fans feel at this time of the year is without question one of golf’s enduring qualities. It means the greatest players in the world, both professional and amateurs alike, will soon vie to become The Masters Champion. And, it means winter-bound golfers will soon be able to tee it up themselves. With all the history packed into its relatively short life as a major, it’s no wonder The Masters remains one of the most coveted titles on the PGA TOUR. It is certainly the most anticipated of the four majors to hit our television, computer, tablet and SmartPhone screens each year as well. The Green Jacket has been worn by many of the greatest golfing legends in history, and they’ve all played the same course, although of course some changes have been made over the years to its length and layout. This year will be no different. Someone will emerge on Saturday’s “moving day,” and the back nine roars on Sunday that can be heard all around the course and on television will give you goosebumps. We’re all anxious to know which players will shine during the four-day, 72-hole event for which we’ve waited all year. We’ll stop what we’re doing during tournament week and tune in to see who will tame (or survive?) Augusta National.